This auditorium is located in the Civic Center area of San Francisco, and houses various conventions and trade shows. The Bill Graham Civic Auditorium is located adjacent to the San Francisco City Hall. This particular bathroom has a lot of urinals. 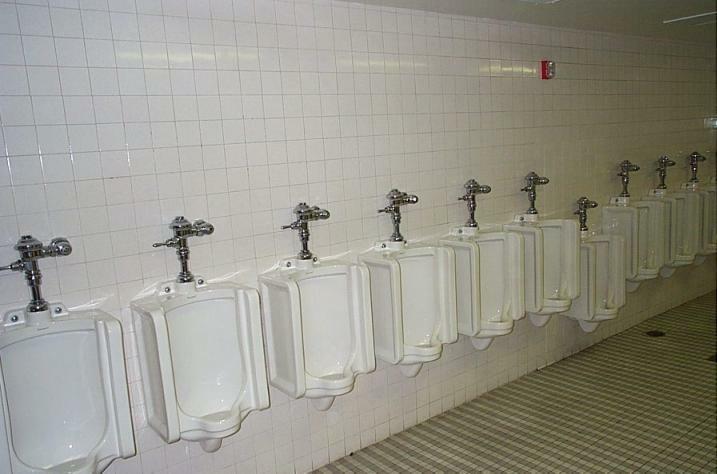 The wall of urinals wraps around, as is evident in the photograph below. 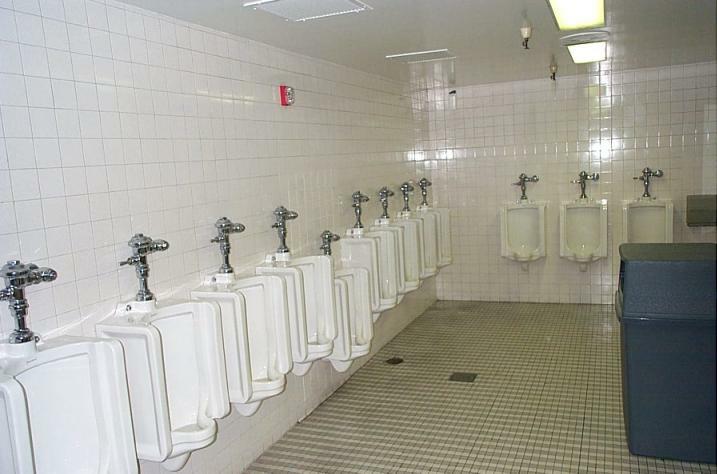 Several of the urinals are located behind the cameraperson and are not visible.